Jim Bennett, a jaded lit professor and compulsive gambler, finds himself in quite a pickle when he borrows more than 200,000 dollars from a couple of dangerous folks and is given just a week to pay it back. Is he gonna get out of this mess, or are his bad attitude and bad habit destined to destroy him? 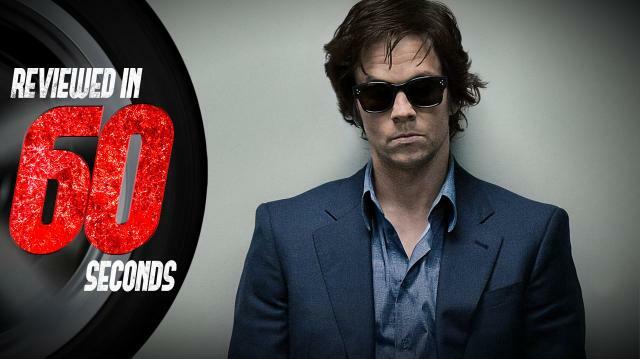 Mark Wahlberg soars as he portrays one of the most repulsive human beings I have ever seen on film. He is a cynical, irresponsible, selfish egomaniac and I kinda wish he had died. But his overwhelming negative qualities didn’t stop the film from giving him a hot blond to lust after him because some filmmakers still think that’s just how movies work. Bennett did evolve as the film progressed, but the story wasn’t good enough to explain why. He just changed when it was the appropriate page of the screenplay for change to happen. But despite story problems that make my innards itch and burn, the beautiful David Fincher-esque cinematography and John Goodman’s unforgettable performance are both worth the price of a movie ticket. So we’re giving The Gambler three and a half “Mike Rylander star of Ora TV’s WTFarks” out of 5. Why Mike Rylanders? See the movie to find out! The Gambler is in theaters December 25th.